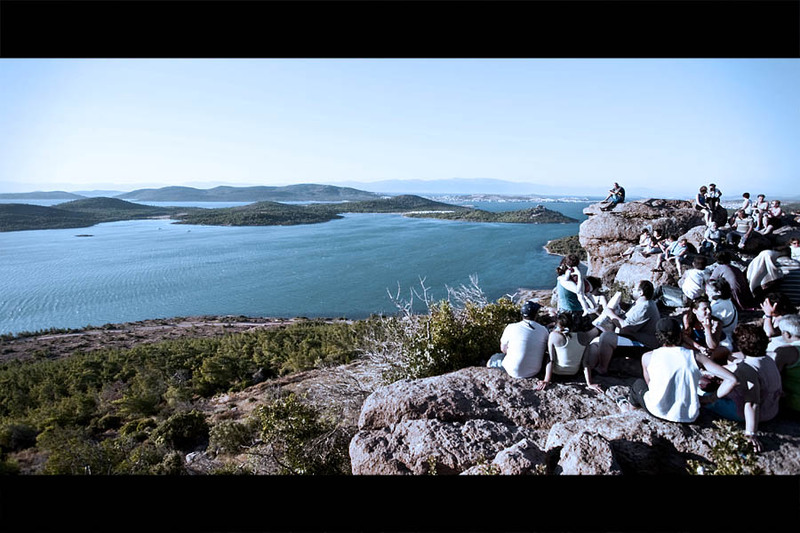 A group of tourists waiting for the sunset on the Table of the Devil (Seytan Sofrasi) in Ayvalik, Turkey. I went up to the top of this hill about 1 hour before sunset. I found a wonderful view with a couple of bar and restaurant and an empty parking lot. 30 minutes later a massive crowd pour into the place from coaches, hundreds of cars. The sunset was superb, the atmosphere quite fun with people on every rocks.